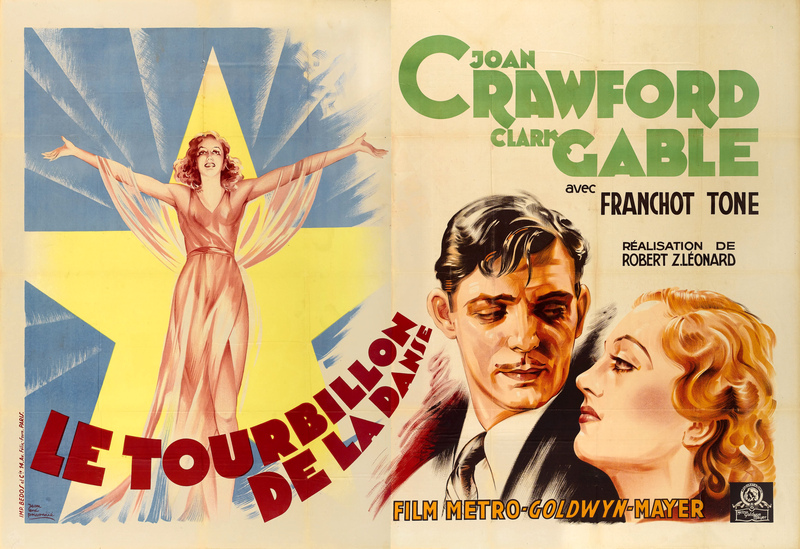 Last June I dedicated a post to the film collaborations of Joan Crawford and Clark Gable as part of the Dynamic Duos in Classic Film blogathon, Gable and Crawford: King and Queen of Hollywood. The two superstars made eight films together and I commented on seven of the films at the time because I’d been unable to get my hands on Robert Z. Leonard’s, Dancing Lady. Having seen that movie this past week on Turner Classic Movies as part of the network’s month-long tribute to Joan Crawford, the Star of the Month for January, I thought this a great opportunity to complete the octo-fecta. By the time Joan Crawford and Clark Gable made Dancing Lady they were two of MGM’s most valuable commodities. 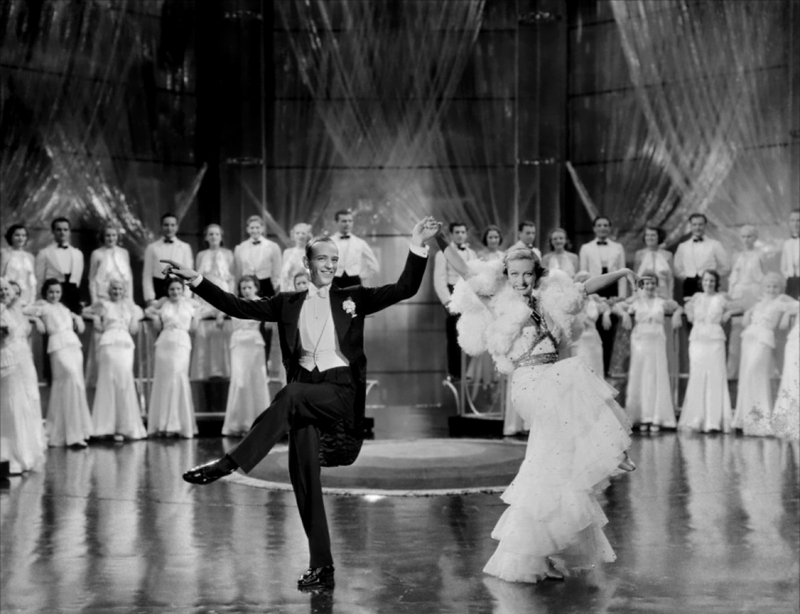 In the timeline of their film pairings, Dancing Lady follows Clarence Brown’s, Possessed, which was made two years earlier, the third of the films they made that was released in 1931 and my favorite of the eight. Two years elapsed between Possessed and our movie today (reportedly) due to the fact that Gable and Crawford’s off-screen shenanigans were becoming a distraction, if not on the brink of becoming an all-out scandal. I can certainly attest to the fact that by Possessed their on-screen chemistry was simmering! The story goes that Crawford’s husband in 1931, Douglas Fairbanks, Jr., and Gable’s wife at the time, Ria Langham, both approached MGM head, Louis B. Mayer for help regarding the stars’ affair. As a result, Mayer told Joan and Clark to stop the affair at once or their careers in Hollywood would be finished. To facilitate matters, Crawford and Gable were sent off to work with other people. And, to help promote Possessed, Gable’s wife, Ria, was sent on a tour across the country by the MGM PR machine. Well, the two stars spent the requisite time apart and it worked – they cooled off. Unfortunately it didn’t help Joan’s marriage to Fairbanks, Jr. as the two divorced anyway and by the time Dancing Lady came about she was dating Franchot Tone who would become her next husband. It’s worth noting that Dancing Lady is the first time Tone plays a romantic role opposite Joan. They would eventually star in seven movies together. In any case, set to star in Dancing Lady, Crawford rallied for both Tone and Gable to get the leading male parts in the film. MGM complied. In Dancing Lady Crawford plays a chorus girl, Janie Barlow, who longs to make it big on Broadway. Franchot Tone is millionaire Tod Newton who attends one of the Burlesque shows she’s appearing in one night and instantly falls for her. In order to impress her and win her affections, Newton arranges it so Janie gets a part in a Broadway musical he’s backing, “Dancing Lady.” But then a major wrench is thrown in his plan in the form of studly Clark Gable, who as Patch Gallagher is directing the musical extravaganza. Naturally, Patch too falls for Janie as the two spend more and more time together during rehearsals. By the way, both Clark and Joan look great in the movie – he is in serious hunk mode and she is soft and lovely – especially when she’s around Clark. As the story progresses Janie is forced to choose between her dream of becoming a star and marriage to a man who promises to give her everything she’ll ever need – financially. Since it’s easy to guess which she chooses there’s really nothing much to keep secret here, but I won’t divulge the entire movie. Dancing Lady guarantees fun, but it stands nowhere near the best of the Crawford/Gable collaborations. I love both of them in the movie though simply because they’re just wonderful to watch. Each has extraordinary energy and they share great chemistry. That cannot be denied. I can’t say the same for Franchot Tone, however. He’s certainly nice to look at but just smiles too damn much. His character does some devious things here, but Tone doesn’t quite possess the richness of character for deviousness. Although it may well just seem so as compared to the powers that are Gable and Crawford. I will say that Tone offers a nice contrast to Gable’s in-your-face manliness. If a girl’s to make a choice then it might as well be a clear one. By the way the music and lyrics in this are by Richard Rodgers and Lorenz Hart. 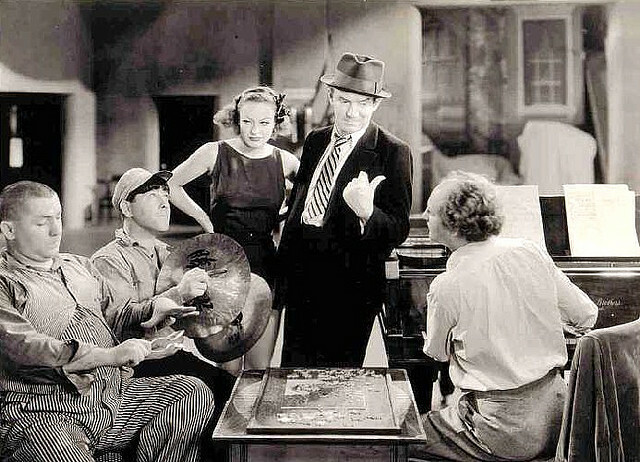 Also making an appearance in Dancing Lady are The Three Stooges, then known as “Ted Healy and his Three Stooges.” Healy plays the Stage Manager of the musical troupe in the movie with the Stooges playing bumbling stage hands. Comedian Robert Benchley also plays a small part and in an uncredited role is the fabulous Eve Arden who shows up in the theatre lobby yelling at her agent about his having made her audition for “the southern part” for which she horribly exaggerates the accent. 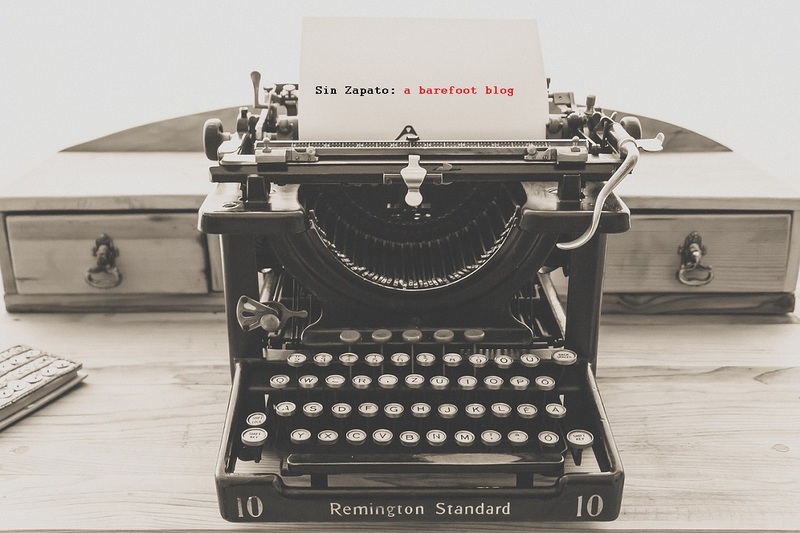 She and her voice are unmistakable. And a hoot! Here is the complete cast/crew list. 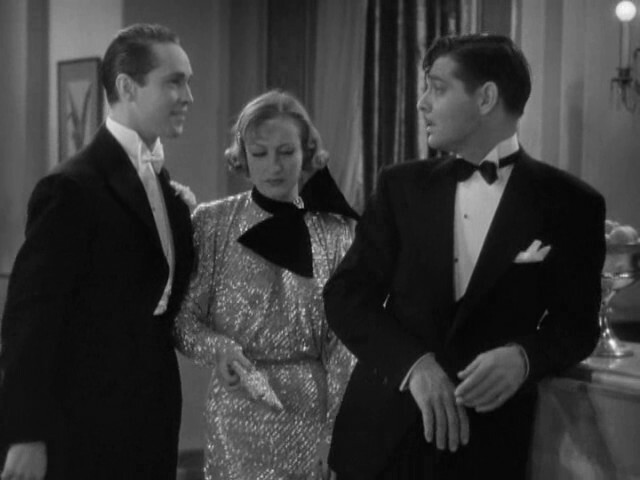 Crawford and Gable followed Dancing Lady in 1934 with another film featuring a romantic triangle, W. S. Van Dyke’s, Forsaking All Others with the second male lead going to Robert Montgomery this time. 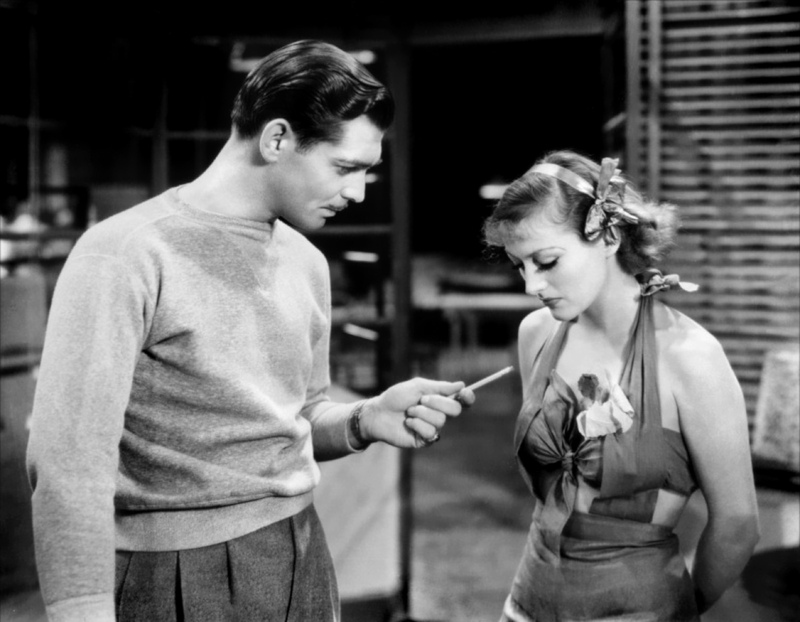 By the way, Forsaking was the first film Gable and Crawford made together after the Motion Picture Production Code went into full throttle, which (obviously) makes Dancing Lady their last pre-code film together. 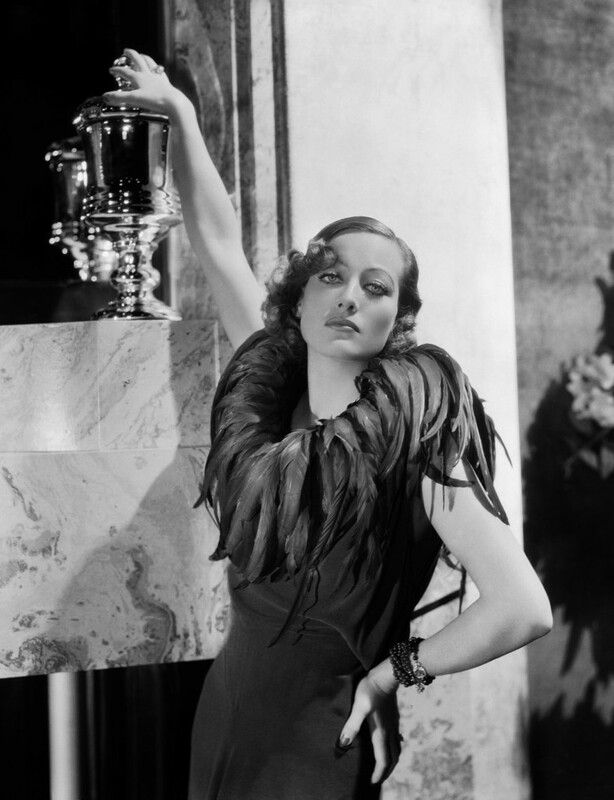 Before I go I have to add that for those of us used to seeing Joan Crawford in the films she starred in throughout the 1940s and later in which she had a much tougher presence and hardened exterior, these earlier movies show a totally different side of the actress and I highly recommend them. For my money these are the films that are testament to her work ethic and drive, which were legendary. Watching Crawford pre-code films has given me a new appreciation for her talent, persona and move stardom. For a complete timeline of the films Crawford and Gable made together with a good dose of juicy backstories thrown in, visit the King and Queen of Hollywood post. If you’re interested in watching all eight films they’re available on Warner Archive Instant. 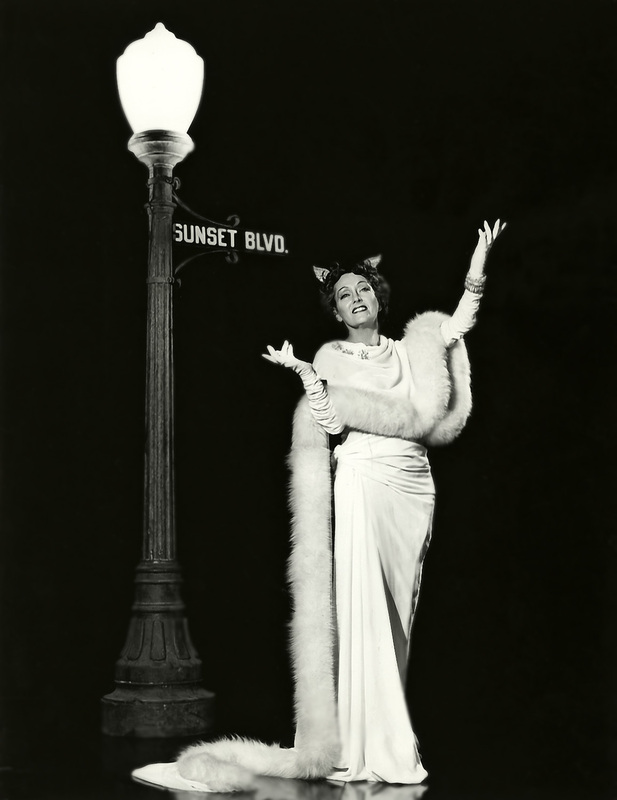 And don’t forget there are still two more weeks to go in TCM’s month-long salute to Joan Crawford so be sure to tune in on Thursday nights and catch the greatest movie star in action. Here is the schedule.